These pears, theeeeeeeeese pears. They will make you want to grab your own pair in delight (whether balls or breasts, a celebratory grab will be in order). They are positively delicious. They go beautifully with meat, especially pork and chicken. A little butter is integral to the well-rounded flavour, so you will have to forgive and embrace this indiscretion, besides, most of it stays in the pan anyway. These cooked beauties are winners. Get on it. 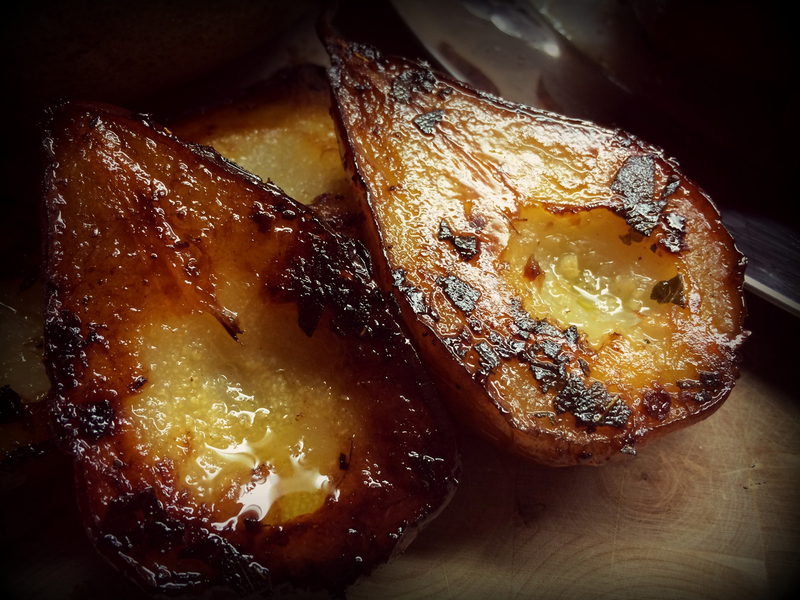 This entry was posted in Food, Recipes and tagged different dinner, ginger pears, poached pears, roast side-dish, side-dish. Bookmark the permalink.